You may fly-by-the-seat-of-your-pants and plan tonight’s 6:00 family dinner at 5:45, which may result in a “fun” trip to the drive-through, but at some point you have to make a decision about what you and your family are going to eat, which may be something out of a microwavable tray, which is not a good meal plan. 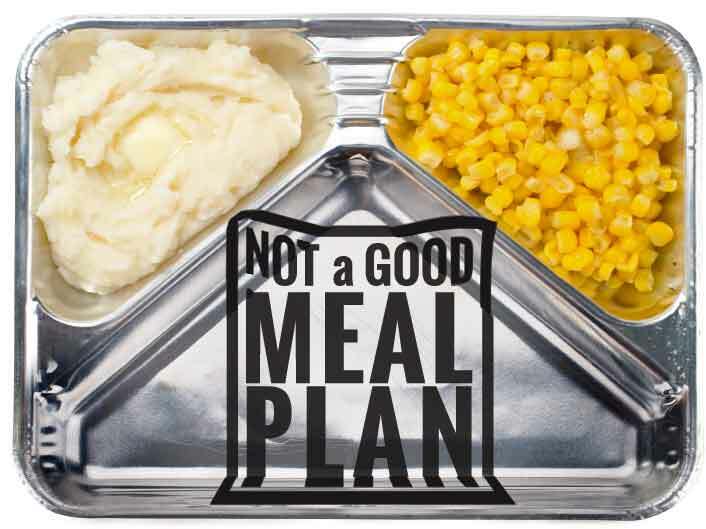 We needed a good meal planner, and out of this need Plan to Eat was born. Now we want to share it with you so that you don’t have to fly-by-the-seat-of-your-pants-meal-plan anymore either. Dinner happens every night. Be ready for it. What is Plan to Eat? Plan to Eat is an online meal planner app that allows you to add and organize recipes, drag those recipes onto a calendar to plan them, and our software automatically creates your shopping list based on your planned recipes. By providing tools that streamline the meal planning process we equip households to eat better food, eat together, save money at the grocery store, and have a less stressful cooking experience in the kitchen. Our physical and emotional health is directly tied to what we eat, and the best way to ensure we are getting the highest quality food is to prepare it at home. Without a system to organize recipes, plan menus, and compile shopping lists, our kitchens will lack the ingredients we need to prepare our meals. Our hope is that Plan to Eat will equip you to prepare delicious, wholesome food at home that nourishes both body and soul. We are not a startup. We are not trying to grow as fast as possible (by making our service free) so we can sell our customer base and move on to the next project. This gives us the freedom to focus on what is best for our customers and our own family. We try to be very clear & up front about the cost of a Plan to Eat Subscription. It’s $4.95/month or $39/year. We do not ask for credit card information before starting a 30 day trial. We do not want to “trick” you into paying us because you forgot to cancel. We offer a no-questions-asked refund policy. By default, we do not automatically bill you when your yearly subscription expires. We believe these ideas are just common sense. They reflect our commitment to treating our customers the way we want to be treated. As my wife and I transition from an eat out, sit in front of the TV/Computer/iPad life and into one that is more organic, planned and intentional you're product will be an integral part of that process! This will certainly help us make an easier transition to a better way of eating well living life! Thank you again and know that you're solution is helping to make a difference in people's lives! Keep up the great work! I LOVE this app! It is exactly what I've been searching for at least 2 years. It takes the headache out of planning a grocery list, which is probably the main reason we ate out so much in the past. I love that I can upload pictures from the recipes. I'm just learning to navigate the app, but so far I can't imagine what would need to be improved upon. It is perfect! Thank you! !